I never thought this day would come too soon. Never ever dreamt of going back to Ethiopia, a country I adore so much; a country where I was born and raised; a country that gave me my identity; a country that gave me a lot in my life and made me the person I am today. But it happened. I finally made it. Yes, I saw Ethiopia after being away for 13 years. I made that journey of a life time. One of the most emotional journeys of my entire life. When I booked my flight in September 2018 to go to Ethiopia, it was like a dream as I never thought I was going to travel back to Ethiopia until Dr. Abiy Ahmed became Prime Minister and started to change the course of history. 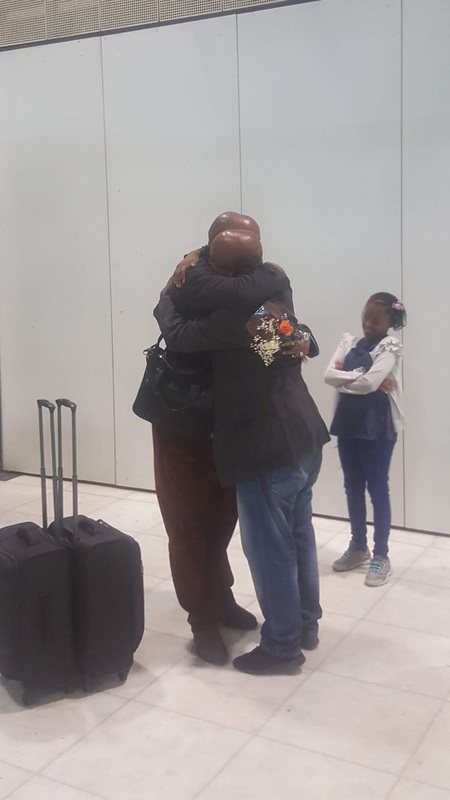 Although many Ethiopian Diaspora members returned in the past many months, there were many others who couldn’t make it for many reasons. I was one of them. But the time arrived, and it was 22nd December that I finally made it to Ethiopia. This was the most emotional day for me, especially the morning of that day. On my way to Heathrow airport, I had lots to think. Traverse back in time and place. Thinking back how I left Ethiopia; reflecting on my days in my new home, United Kingdom. I was taken by a long and deep thoughts and emotions. Thinking about families, friends, old colleagues and Ethiopia at large. Thinking about how I would act on arrival. Thinking how to keep my emotions and whether I could have the strength. Thinking how I would feel when the plane landed, and I touched down the soils of Addis Ababa. At times tears rolling down my face. Sometimes smiling. Complicated emotions. Indeed, very overwhelming. It was all happening on Saturday 22nd December 2018. As soon as I arrived in Addis, I started to see the changes for myself. The first to go to was to the arrival visa centre at Bole International Airport. I found it being very professional and friendly and I was able to secure my visa and go through in less than 30 minutes. It was just followed by extremely emotional reunion with my 2 brothers, my niece and our good friend Tito who were able to be inside the airport to welcome me and my family. It was just very emotional. Words can’t express that feeling. I was thus able to collect my luggage and ready for a reunion with the rest of the family who were waiting outside the airport. Cries, smiles and hugs. Another very emotional moment. Following the reunion was going to the guest house that was organised for my family. We could see the vibrance of Addis on our way. It was still alive, although it was around 11pm. The Addis I was born in and grew up; the Addis I knew for most of my life; Addis, one of the most welcoming cities. Yes, Addis welcomed me again with all it could offer. I was asking lots of questions on my way to the guest house. Why are the youngsters still out and in the streets? Why is this happening? Why is that happening? Thankfully, my family and friends had patience and were willing to step in to answer. 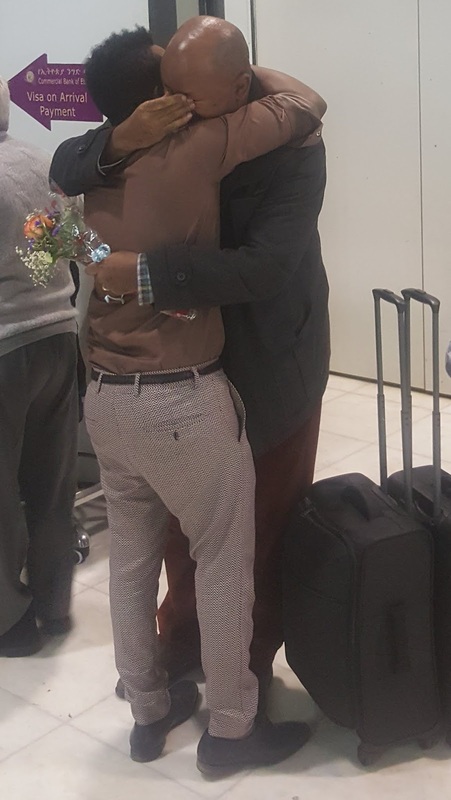 I thus had another emotional reunion with my mum, sister and cousin followed by mouth watering food, traditional Ethiopia drink called ‘Tella’ and all-night chat. I never wanted it to end as there was a lot to listen. Lots to share as well. But the body indicated that it was tired. Not only mine, but everybody’s. Hence, we had to sleep. Sleep in a joy now that the reunion has happened. Many more stories to share. Many more stuff to talk about. That could happen the next day, the day after next day and so on. Time to sleep amongst the beloved ones whom I missed for years. Sleep, sleep, sleep. ኢትዮጵያ ደርሶ መልስ - ታሪካዊ ጉዞ!